The fun thing about mini albums (besides the fact that they are mini!) is that they’re so versatile—you can tackle all different sizes of jobs with them! Today, we want to share with you 10 reasons to make a mini album that maybe you haven’t thought of before. After someone throws you a party, a shower, or invites you over for dinner, create a mini album with pictures of the event and give it to the hostess as a unique thank you gift. Put your wedding picture in the front of a mini album. Then, snap a photo each anniversary and add it to your mini album. Years down the road, you’ll be able to see how much you both change with each year of renewed love and commitment. Have young children or grandchildren? 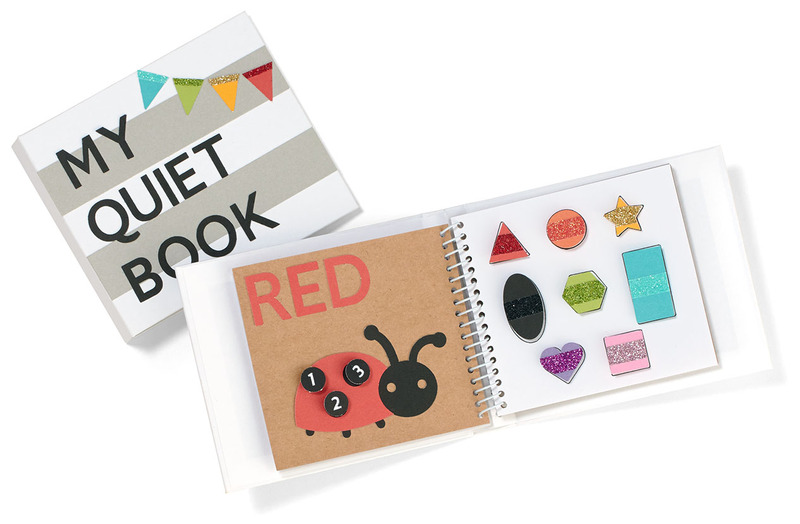 Create an interactive “Quiet Book” for them to play with when you’re at the doctor’s office, at church, or anywhere else where they need to be quiet. Our hook & look dots, which feature Velcro-like material, are perfect for creating shapes that can be removed and attached. Create a mini album to celebrate your furry friends (and other pets!). You’ll love looking back on the many memories your pets have shared with your family. 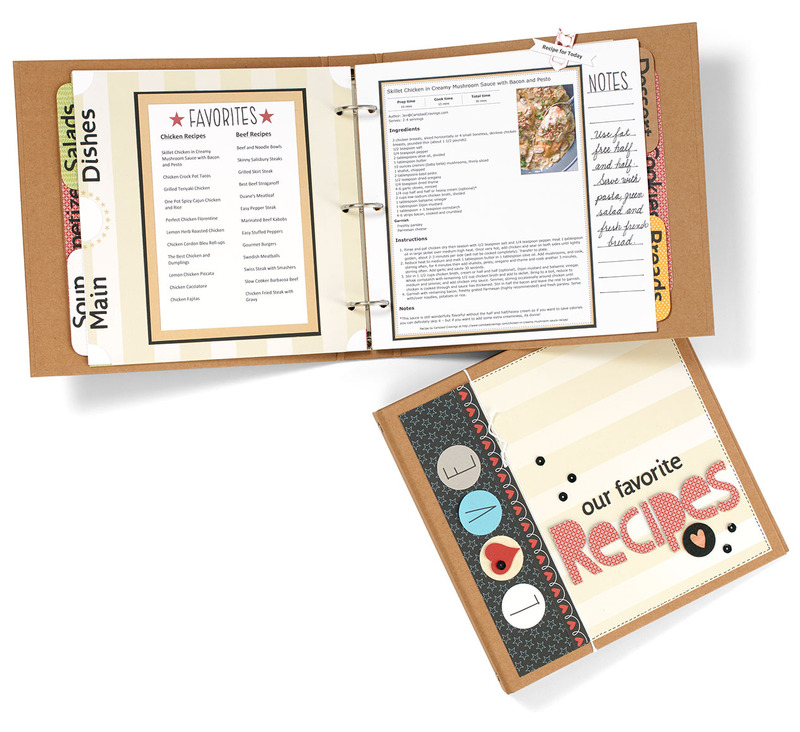 You make homemade food—so why not make a homemade recipe book? 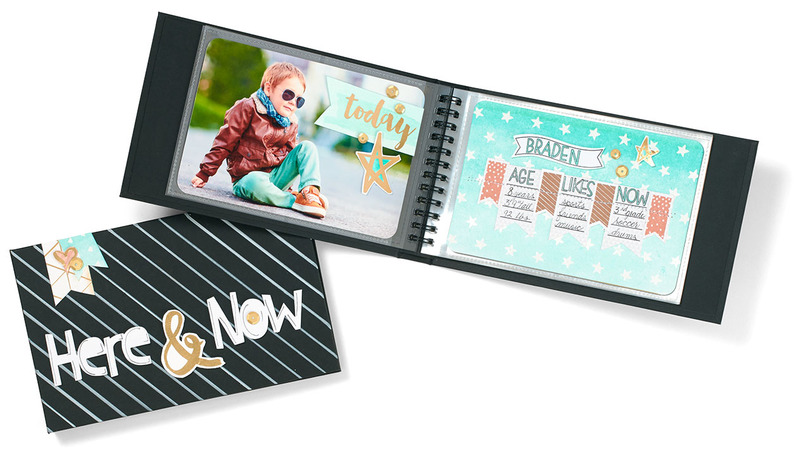 Use our Cricut® Artbooking collection to create tabbed dividers. This would be a fun gift for a bridal shower, high school graduation, or for sharing family favorites with neighbors and friends. Create a mini album filled with things that inspire you: pictures of beautiful places, your favorite patterns, inspiring quotes, photos of loved ones, dried flowers, etc. Use it for creative inspiration or simply for relaxing when you’re stressed. 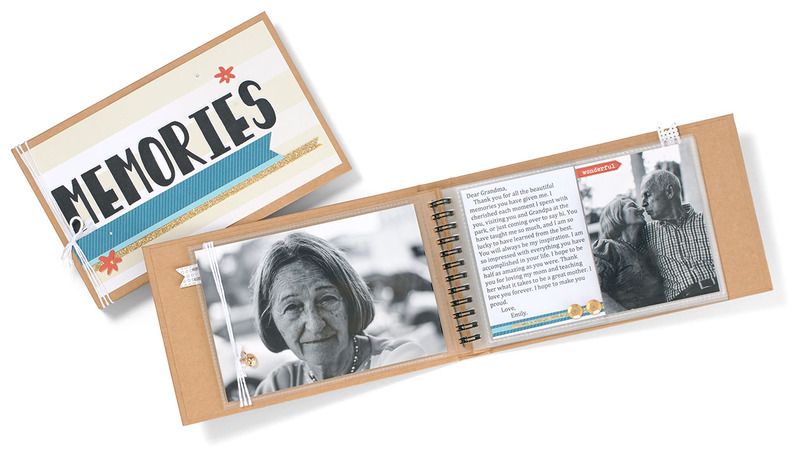 Create a memory book to honor a loved one who has passed away. In addition to the peace this album can bring, it will also help your children and grandchildren get to know their family members who passed away before they were old enough to remember. Create an end of year album with pictures from class activities, recitals, or games from the past year. Give it as a gift to those who mentor your children or grandchildren. When it comes to scrapbooking, it’s easy to focus on events—we went here and did this. Some of the things you don’t want to forget though are the quirky phases your kids or grandkids go through, like the phase when they insist on wearing their Spiderman costume everyday! Create a book dedicated to capturing what makes them unique each year of their lives, such as their height, likes, dislikes, words they mispronounce, interests, and other silly quirks. Create a mini album filled with pictures of family, pets, and your home for your college students to take with them to school. That way, they never really leave their family behind! Which mini album do you want to create? Tell us in the comments below! Also, most of the mini albums pictured in today’s post are available at a discount though our Flash Sale! Head on over to your Consultant’s online business address (OBA)! The discount is only good until 3:00 pm today or while supplies last! A Memory book of my mom and dad. Dad left us on May 1, 2003 and mom on January 27, 2014. We all miss them both immensely, and I would love to create a mini book that I can keep on my coffee table for anyone to look at. Both mom and dad had an incredible sense of humour that kept us in stitches, and I would love to share that with everyone! That sounds like a lovely idea, Janet. Thank you for sharing! I would love to make a recipe book for my son…he has some favorite recipes and I think he would enjoy having them. Creating mini albums are my favorite way to preserve memories. They are quick and easy and make the perfect gift for all ages. And I love all the varieties that CTMH offers to us. I love them all but my most favorite is the Insta-life product line. This line is the best for all your Instagram photos! I can not get bough if these petite gems! Exactly! We couldn’t agree more—mini albums are great! And Instalife™ is a fun option for creating mini albums. Thanks for the comment, Amy! These are adorable! I am making a family photo album for my college-bound daughter in an Everyday Life album so she can take a piece of home with her this fall. That is so sweet. Great idea, Haley! Wow – I just love all of these ideas. Mini albums are such a great way to preserve memories of every kind. Thanks for sharing!